The story of Josephine Health and Beauty Studio began over 20 years ago. Josephine had a dream to create a salon where people could come and feel at ease in a warm and friendly environment. 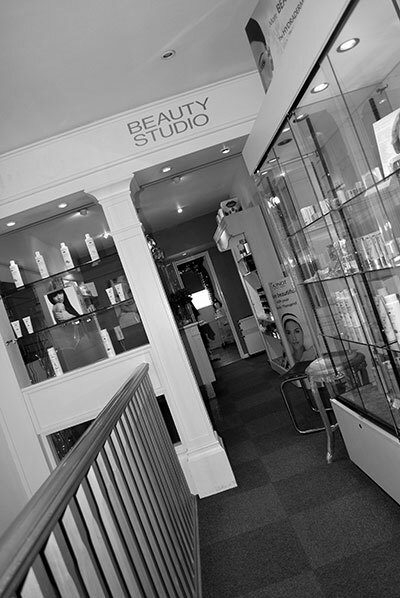 Our beauty rooms are spacious and elegantly decorated. Situated in a Parade of shops on the first floor of a beautiful gift shop (In Time) where you will you find free and easy parking. We are certified as a Guinot Crown Salon. This prestigious reward reflects our exceptional treatments and customer care by our highly talented staff. The brands we use in the salon have been exclusively chosen by Josephine ensuring only the finest products are used on our clients. Giving you our time is very important to us. When you book a Guinot Facial we allow a 15 minute complimentary consultation to allow time to chat with you about your skin concerns and how we are going to help your skin. We pride ourselves on giving you the time you deserve. In an ever-demanding world its vital we take time to rejuvenate our bodies and heal our minds so we can feel better about ourselves. Coming to Josephine’s will allow you to recharge and rejuvenate yourself, whether it’s just a quick essential treatment in your lunch break or a pampering treatment when you have more time on your hands. Whatever treatment you choose our highly trained therapists will take care of you. We look forward to welcoming you soon.